Your SWTX MFSA Chapter volunteers were very active during the recent SWTX Annual Conference in Corpus Christi. We established a “compound” of tables in the AC exhibit area, which provided a hub of conversation and information. 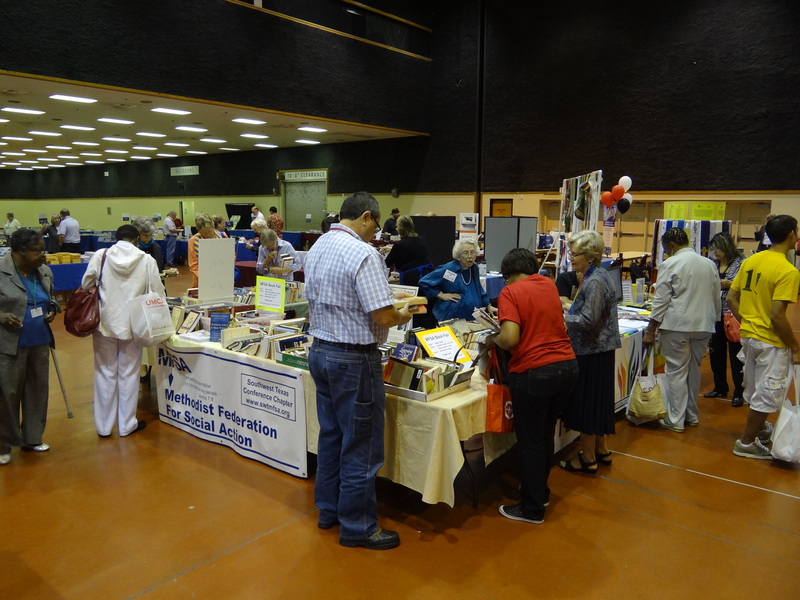 There was a book fair, where your donated books were offered in exchange for contributions. 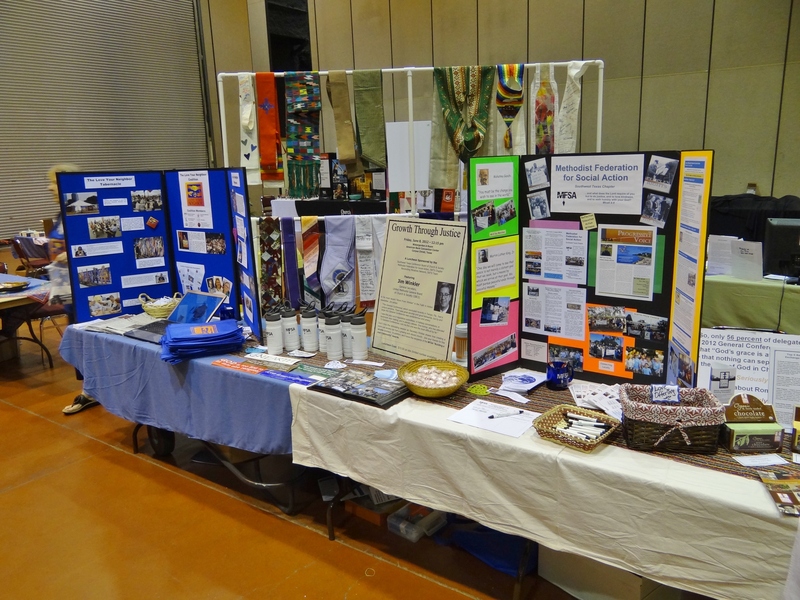 There were exhibits on our MFSA chapter and General Conference events. We sold Equal Exchange chocolates and MFSA water bottles. 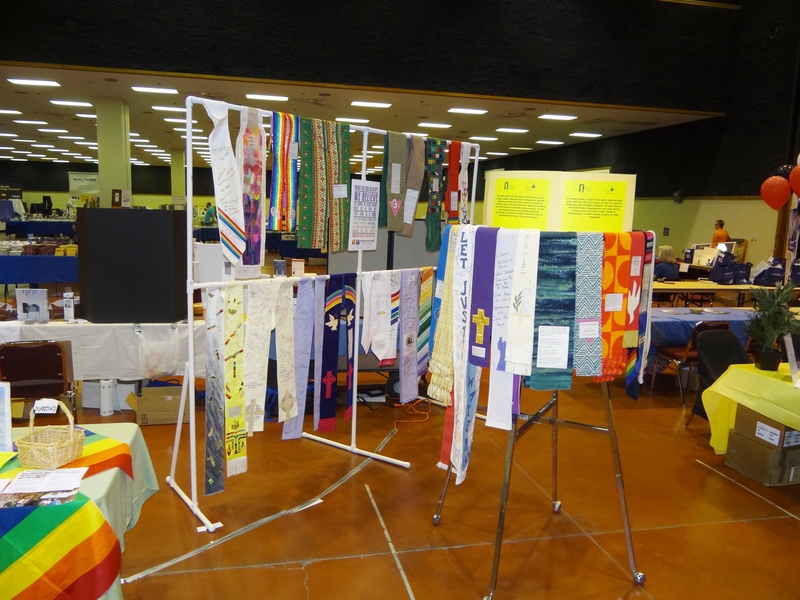 We sponsored an exhibit of the Shower of Stoles, witnessing to the exclusion of GLBT ministers. And we shared space with our SWTX Reconciling Ministries group. We gave away pens, pins, candy, and over 150 stoles! Many of our MFSA chapter members and supporters were delegates, and we had at least 20 other volunteers who contributed their time and travel expenses to be a part of this powerful witness. Thanks to all who helped with this effort! « 2nd Annual Luncheon A Success!